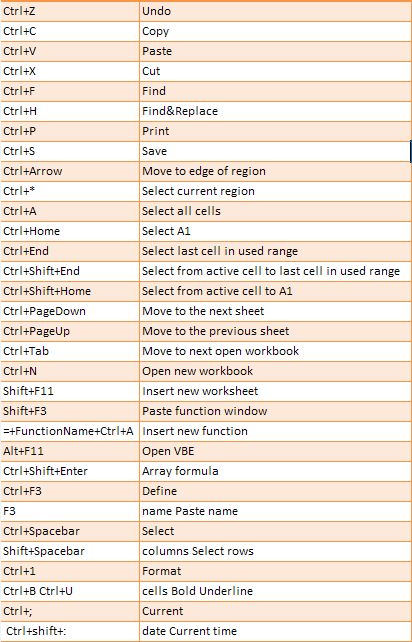 Excel Keyboard Shortcuts ~ Android Forever! Most people don't love Microsoft's spreadsheet app. They use it, if they absolutely must. I love it. Even though I understand the non-Excel-lovers out there, it still surprises me that you can go through life just pointing, clicking and dragging away, when the keyboard is right there just waiting to get you to the same place, only faster than your mouse ever could. 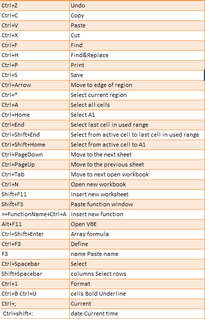 One keyboard shortcut we should all know (and use every few minutes while working in Excel) is Ctrl+S. This saves your work. It'll save your bacon if you hit it (hold down the Ctrl key and hit the S key) frequently. Both keys are right there by your left hand. If you're interested in learning some more keyboard timesavers, click on the graphic to see a larger image with a whole bunch of 'em.